The Xoopar Geo Speaker packs a nice punch in a compact and classy geometric design. 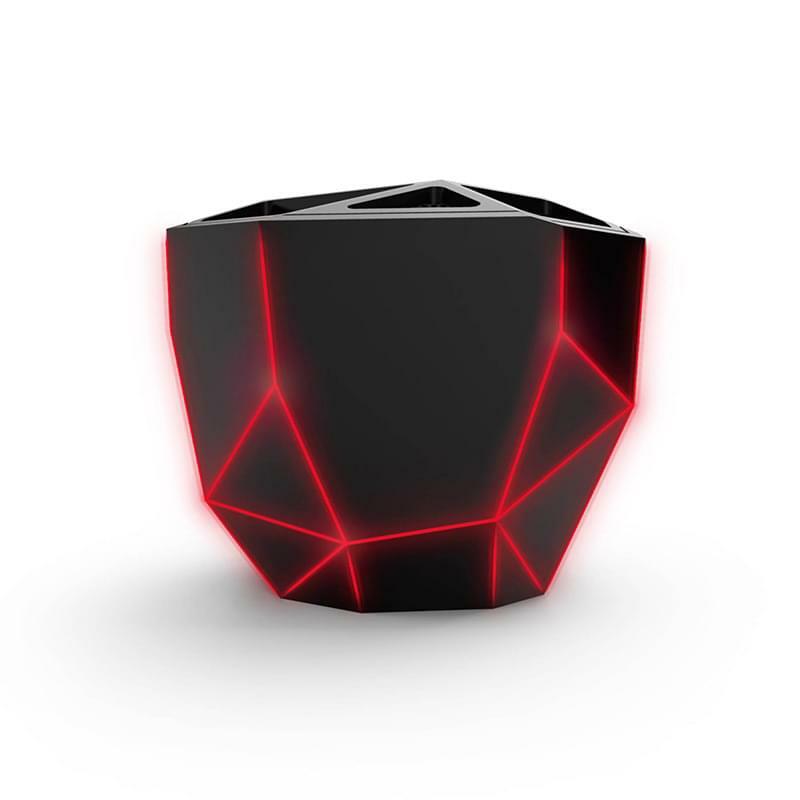 This wireless speaker features skeletal lights around its polygon shaped chassis and boasts 5 watts of clear sound that make for a nice, rich bass sound. 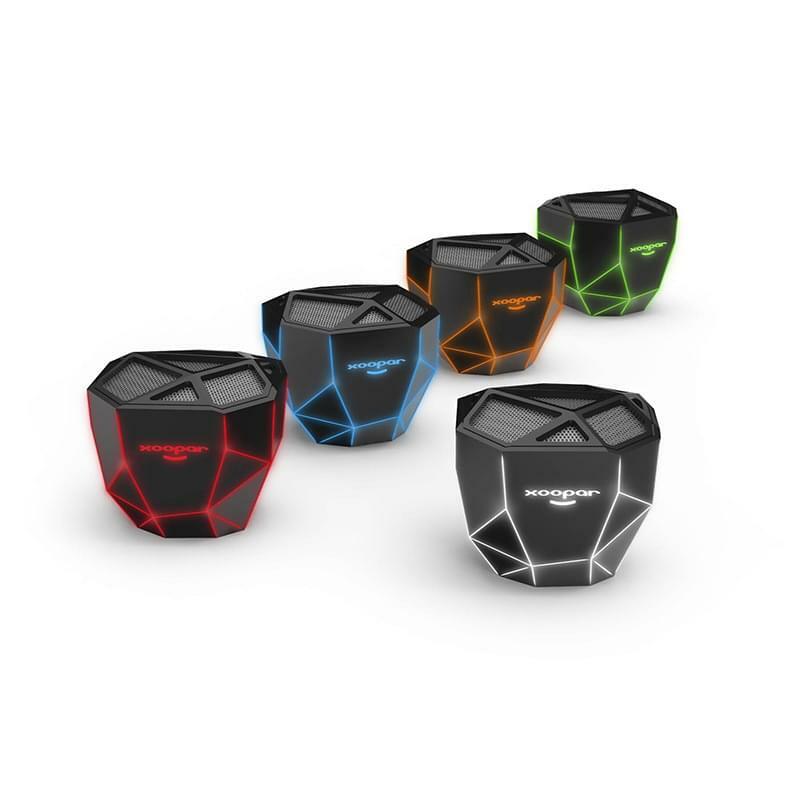 With a design that fits conveniently in the palm of your hand and rubberized finish that keeps it in place, you'll never be at a loss for rich sounding music again. Skeletal light color can be configured to display white, blue, red, orange or green. Wireless connection up to 30 feet. Micro USB cable included.